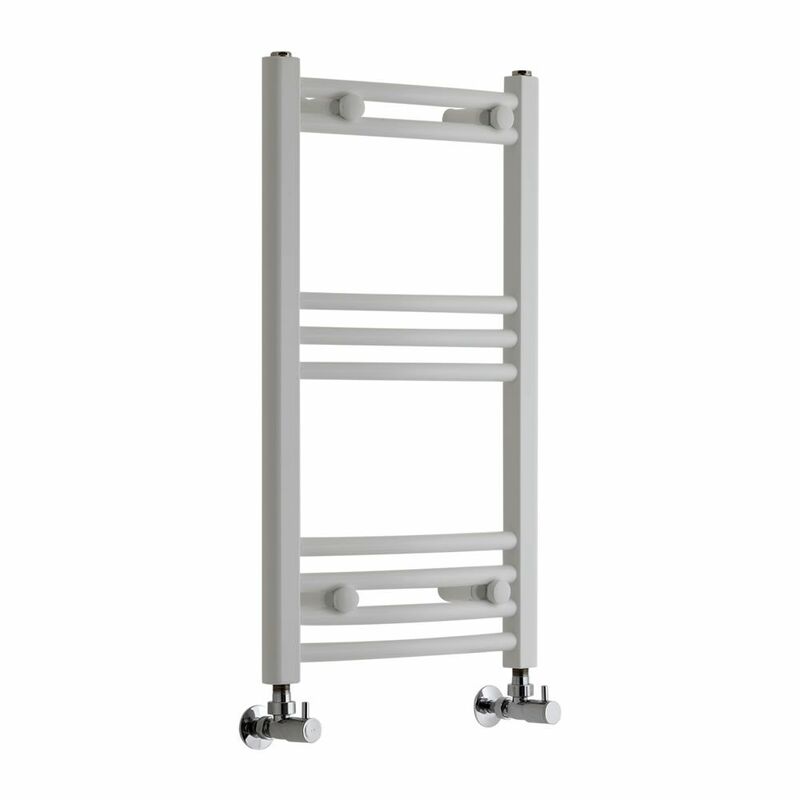 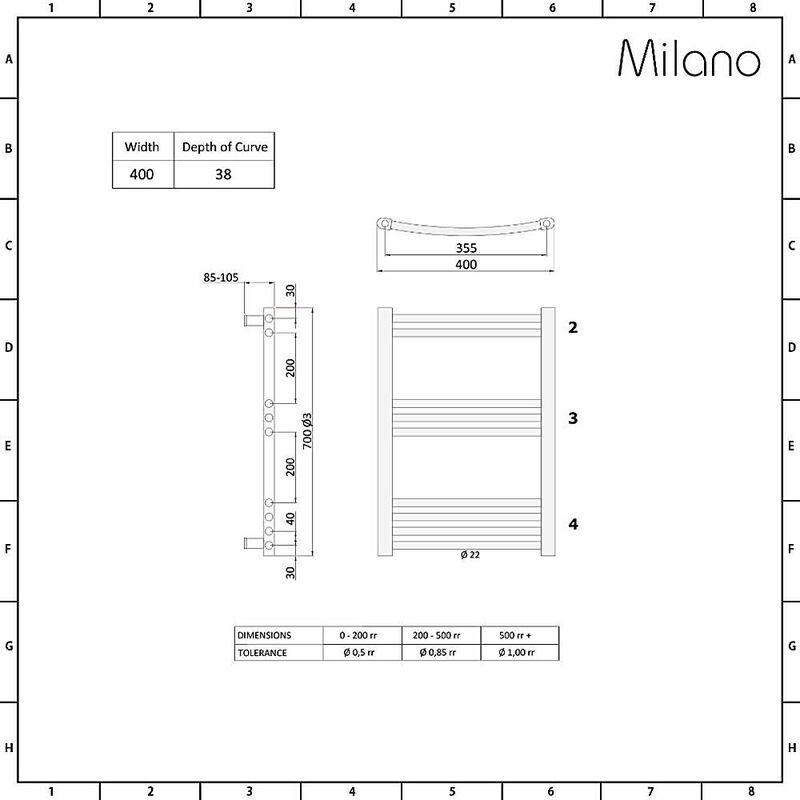 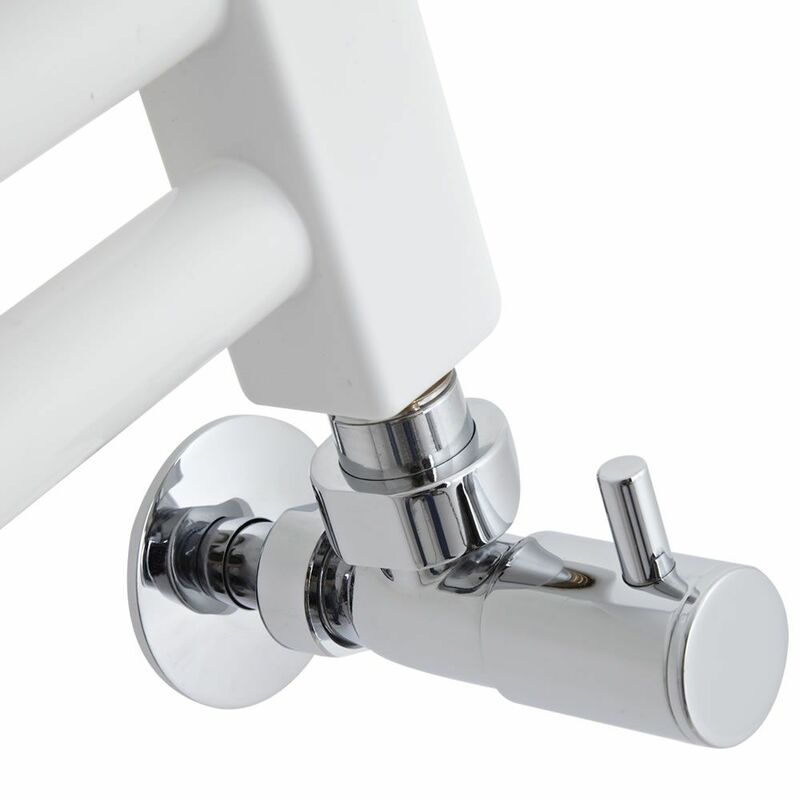 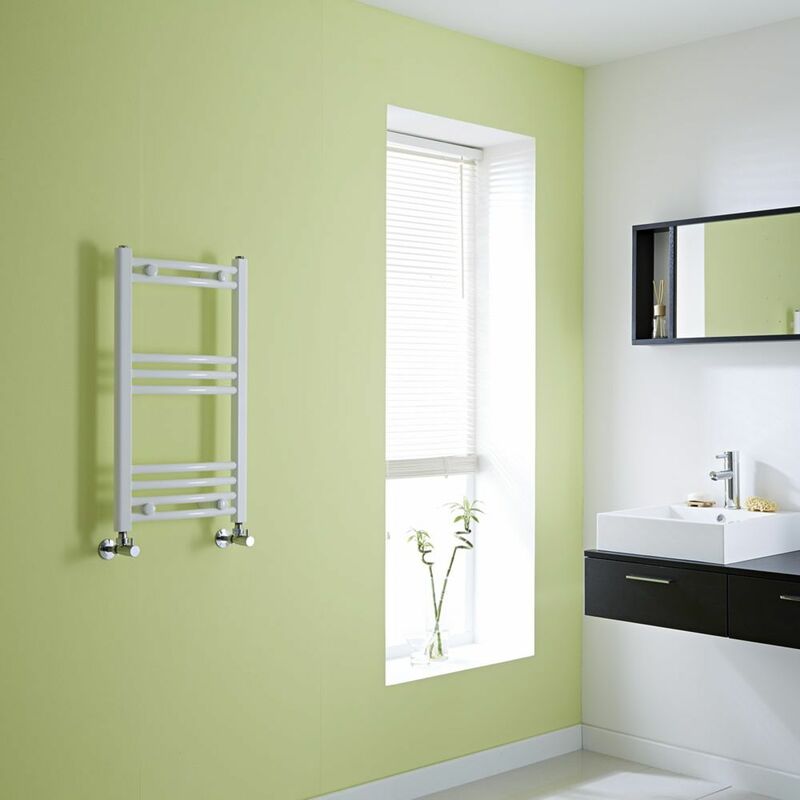 The Milano Calder curved white heated towel rail is a stylish way to keep towels warm and dry and keep the bathroom pleasantly heated too. 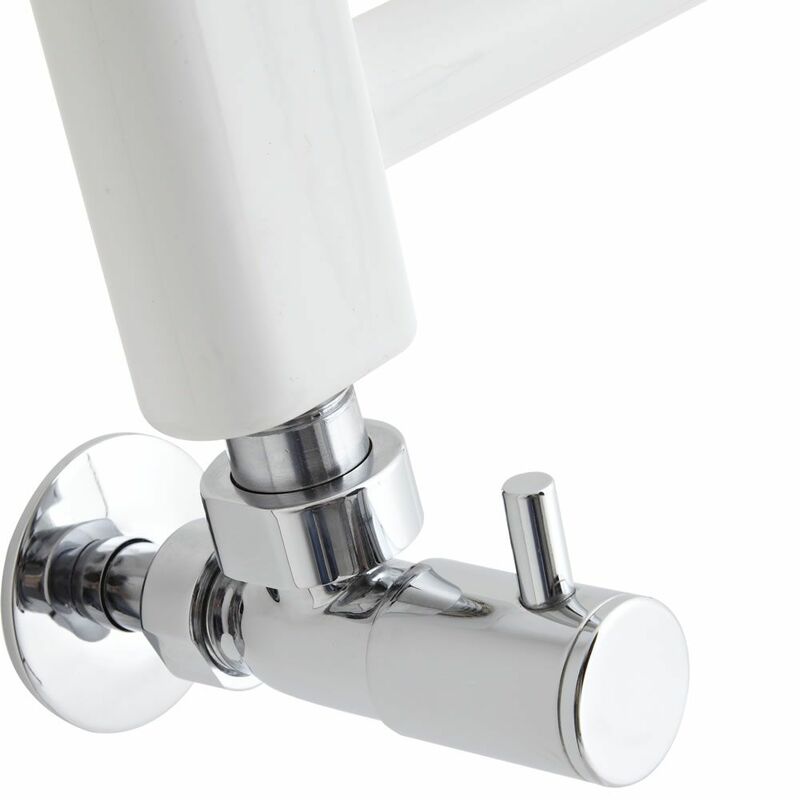 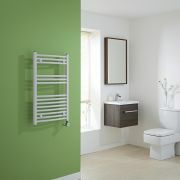 This model has a sleek design with a fresh white finish that enhances the look of any bathroom suite. 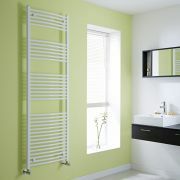 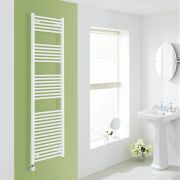 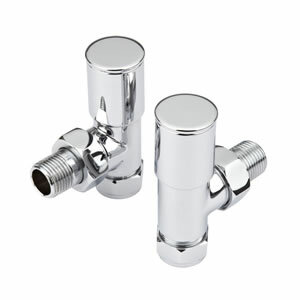 It is versatile by design, so can be fitted in bathrooms of any style and will instantly update the look of your suite. 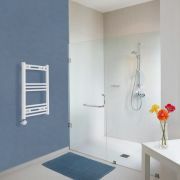 This towel radiator has a high hourly heat output of 1,046 BTUs to quickly and efficiently heat towels through. It will also ensure a comfortable and cosy room temperature. At 700mm x 400mm, this is a compact model which can easily be fitted in small bathrooms and en suites. 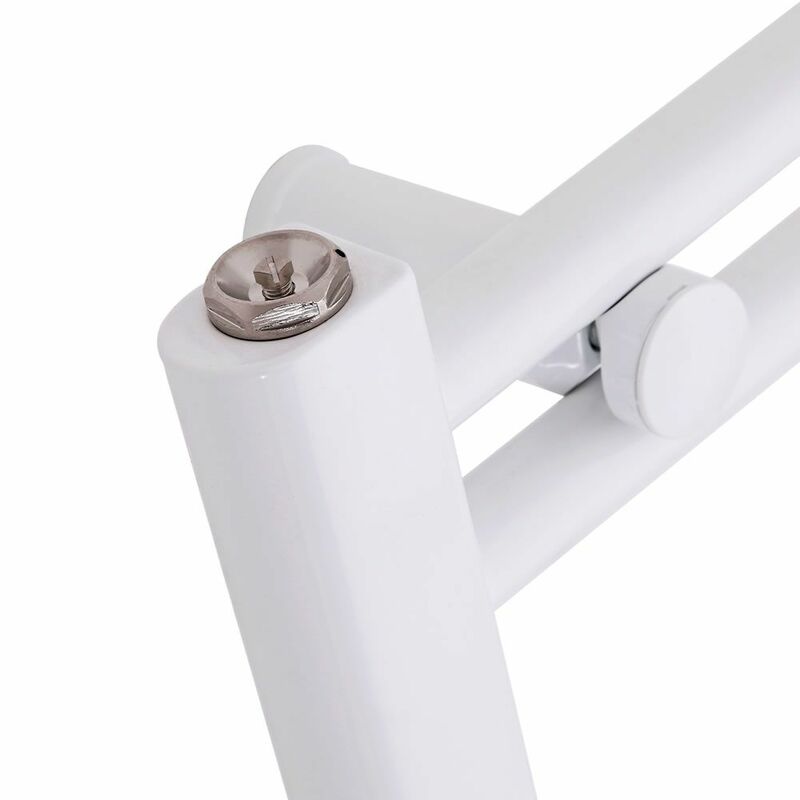 It has been made using the highest quality materials.